I saw this on Keris's blog and I'm a sucker for anything to do with charity (just ask Shadowfalcon - it's a shame I don't have any pictures of me wearing my turkey hat, and by a 'shame' I mean 'WHEW!') so here it is - for every blog that links to MJ Rose's website and the video for her new book, $5 will go to charity :) And if you link to the Old Hag, you could make $5 for yourself (to also donate to charity?). 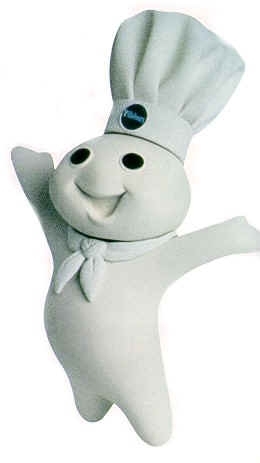 Someone remind me to tell the Pillsbury Doughboy story for Ammar's sake, will you? Trust me, it's funny. I loved that turkey hat! When you told me about it I totally thought you were winding me up, but to thge shock of us all it was real and your wore it..